Do you have a devantrt account? 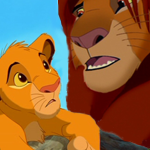 Idk if our blog has one, but if not, I think we should make a My Lion King DeviantArt group. It would put us out there ya know?! That's an awesome idea. I've been meaning to put a journal entry on my devantrt page advertiseing this site.